It is very important that you know how to choose nutritional supplements because all of them are not equal. It is a waste of money to buy a product that will not benefit you. Below are the most important factors that you need to consider when choosing any supplement. Unless you have some knowledge, you will be confused and frustrated. The major reason is because the nutritional health and wellness industry is growing rapidly and many companies are putting supplements on the shelves and online. The first step in choosing nutritional supplements is to identify your nutritional needs. Is there something that your daily diet lacks that you wish to supplement? Identify your nutrition gaps and the type of nutrients that can fill these gaps. The next step is to choose a company that you can trust. 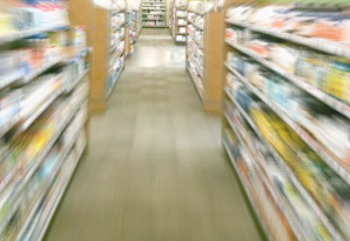 This may be a difficult task because dietary supplements are largely unregulated. Thus making it difficult for consumers to feel safe when buying from a brand that they do not know or trust. Are there tests that prove the effectiveness and safety of the supplement? Does the company practice quality control and safe manufacturing processes? Are the supplement products bio-available? Meaning do they get absorbed and used by the body and not just passed through the system as waste. If you are unable to find enough information to trust the company, then it is in your best interest to avoid their products. Lastly, research and educate yourself on how supplements affect your body. Learn which supplements work together and why you need a good balance. This is because taking too much or an improper balance of a supplement can actually do more harm than good to you. You are also free to consider other factors that you feel will help you identify the best product for your situation. Nutritional Supplements have brought about healthy solutions to many people including expectant mothers and elderly people. You too can become healthier by supplementing your diet. Remember your health is your greatest wealth. Do your best possible to maintain this wealth!